Learn how to build handrails for a wooden deck the easy way, including proper baluster spacing and railing height. Watch this video to find out more. 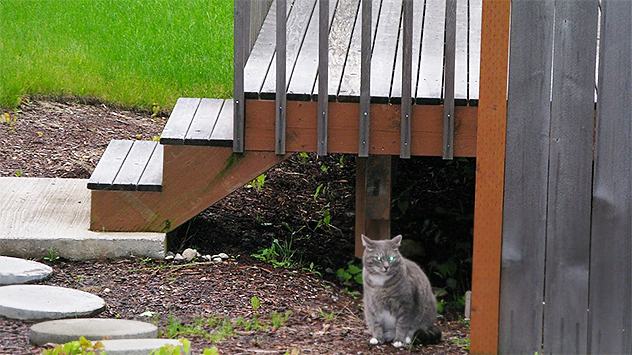 Exterior wood steps can become slippery over time, especially when they’re wet. Watch this video for an easy tip to make them safe. In addition to the composite decking used on the porch floor of the Kuppersmith Project house renovation, we also installed a low-maintenance composite fencing around the backyard and composite handrails on the back porch. Watch this video to find out more. Since porch flooring and railings are exposed to the elements, they can rot over time. When repairing or replacing rotten wood on a porch, be sure to use rot resistant materials and paint or stain all sides and ends. 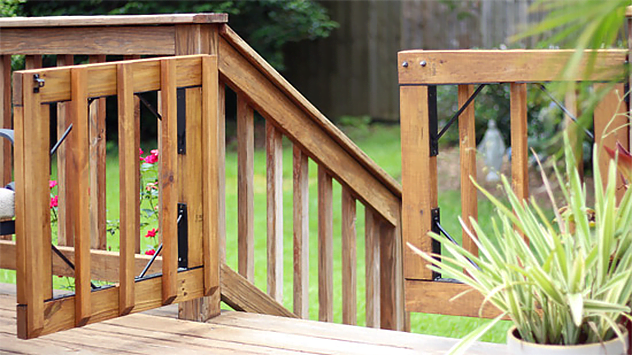 When homeowners and DIYers build a deck, they often fail to attach the railing posts to the deck framing securely. A secure method of attaching railing posts to a deck is to notch the post at the bottom so it fit snugly in the space between the two outer floor joists. Watch this video to find out more.